What does a Law Centre do? We are a small charity and receive very little in terms of public funding. Most of our income is generated through applications to trusts or from fundraising events. You can best help us by making a donation to allow us to continue our vital work. 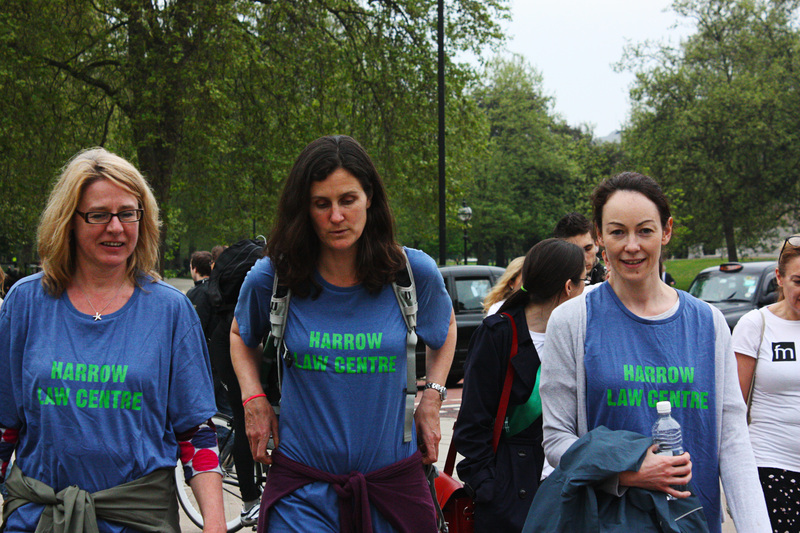 We regularly hold fundraising events and if you would like more details of our next event please contact Pamela Fitzpatrick on 0208 863 4355 or email pamelafitzpatrick@harrowlawcentre.org.uk. We have a team walking the Legal Support Walk in 2018 please get in touch if you want to sponsor our team. We are always in need of office furniture and equipment for the Law Centre so if you are getting rid of any old filing cabinets or other items please do consider contacting us first to see whether we could make use of it. We very much welcome help from volunteers. You do not need a law degree but if you have an interest in the law and helping the local community then please send us your CV together with a covering letter/note. We try to process such applications as soon as possible and we will look forward to meeting with you.